Hymns to the Virgin Mary, or Marian hymnology, as I will call it, constitute a substantial part of sacred music. Moreover, Marian art is abundant. Mary’s main feasts are the Annunciation, the Nativity, the Assumption and the Immaculate Conception, three of which are related to the Nativity Cycle. The exception would be the Assumption. Mary did not die. She ascended into heaven. 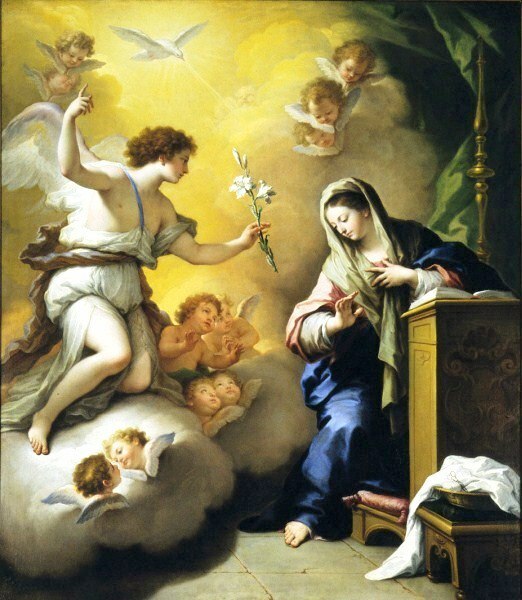 The Feast of the Annunciation commemorates the day on which the Archangel Gabriel visited Mary to announce that she would bear and give birth to the son of God. The Feast of the Annunciation (see Rubens, below) is celebrated on 25th March, exactly nine months before Christmas Day, when Christians celebrate the birth of Christ. The above image is by Paolo de’ Matteis (9 February 1662 – 26 January 1728). The central Marian feast is the Nativity. The Nativity is in fact a celebration of the birth of Christ, but Marian feasts are rooted in the Nativity cycle. Where Marian art is concerned, the Nativity includes portrayals of the Shepherds in adoration, of the visit by the Kings of Orient, as well as portrayals of the Presentation of Jesus as the firstborn son, and the Purification of Mary. 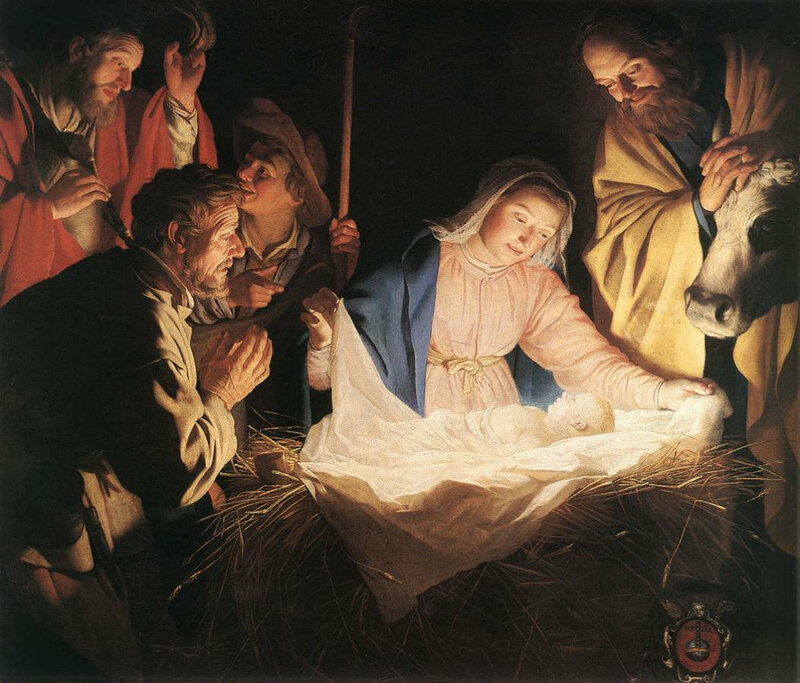 Just below, I have inserted a visit by the Shepherds, by Gerard van Honthorst (4 November 1592 – 27 April 1656), a Dutch Golden Age artist who is also called Gerrit van Honthorst. Mary did not die. 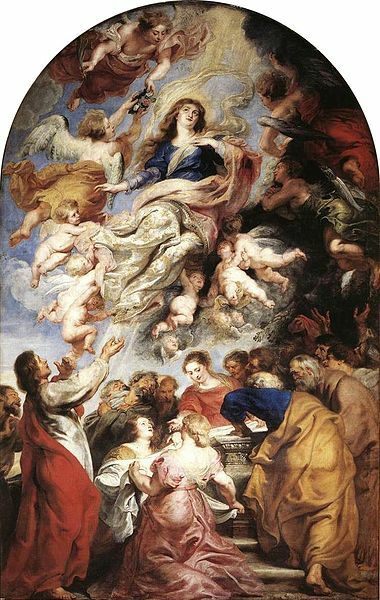 She ascended into heaven and her Assumption is celebrated on 15th August. In the Eastern Church, Byzantine Emperor Maurice selected the15th August as the date of the feast of Dormition and Assumption. The 15th of August is also the Feast Day of Acadians. Acadians are the French-speaking inhabitants of Canada’s Atlantic provinces. Their national anthem is the Ave Maris Stella. According to Roman Catholicism, Jesus was conceived without stain or macula. This dogma is disputed as it is linked with the notion of an inherent fault, the original sin, the sin committed by Adam and Eve. Newborns or infants who die before Baptism do not go to heaven. They are sent to Limbo. 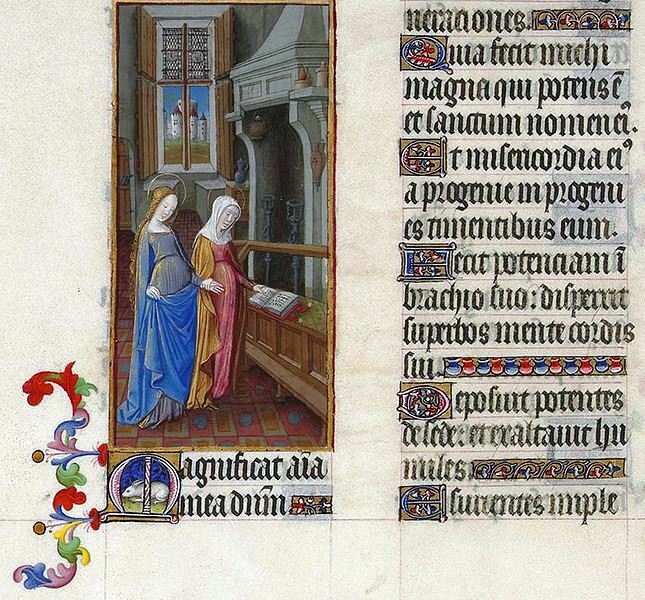 As for Marian hymnology, it originally consisted of four antiphons (antiennes, in French) sung in Gregorian Chant. Two, the Alma Redemptoris Mater and the Salve Regina were composed by Hermann of Reichenau, and would have been Gregorian chants. The four Marian antiphons are in fact linked to the Liturgy of the Hours, the Canonical Hours, and commemorate the four seasons. 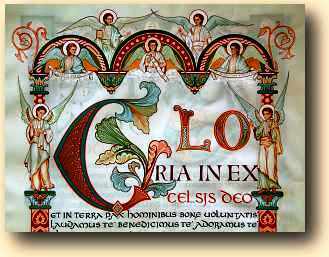 Antiphons are “responsories” or the response by the choir or the congregation to a psalm or hymn. But they may involve responsorial singing by alternating choirs. More simply expressed, antiphons resemble a refrain. “The refrain was called an antiphon (A). The resulting musical form was A V1 A V2…” As a form, antiphons are not restricted to Marian hymnology. 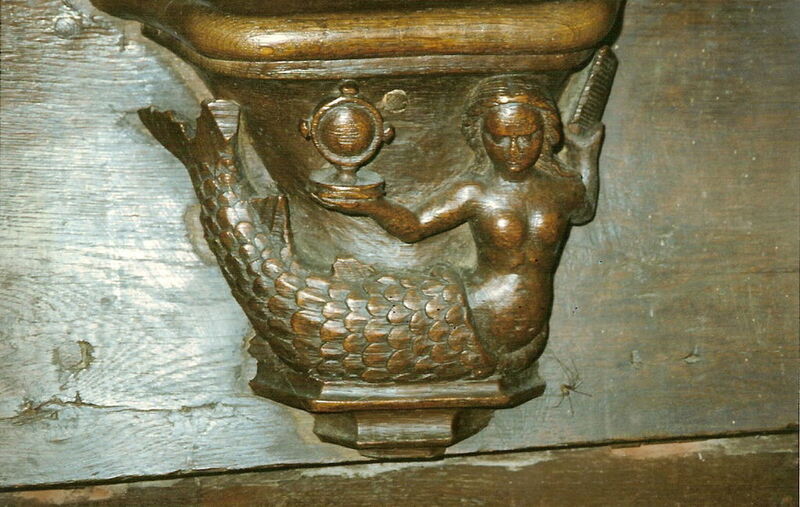 We should also note that Marian feasts are associated with the seasons, as are other Christian feasts. Traditionally, the Alma Redemptoris Mater is sung at the end of Compline, one of the Canonical Hours. It is said to have been composed by Hermannus Contractus (Herman the Cripple) (1013–1054). Traditionally, the Ave Regina Cœlorum has been sung at the end of each Canonical Hours, but mainly Compline, between 2 February (Candlemas or Chandeleur in French) until the Holy Week. 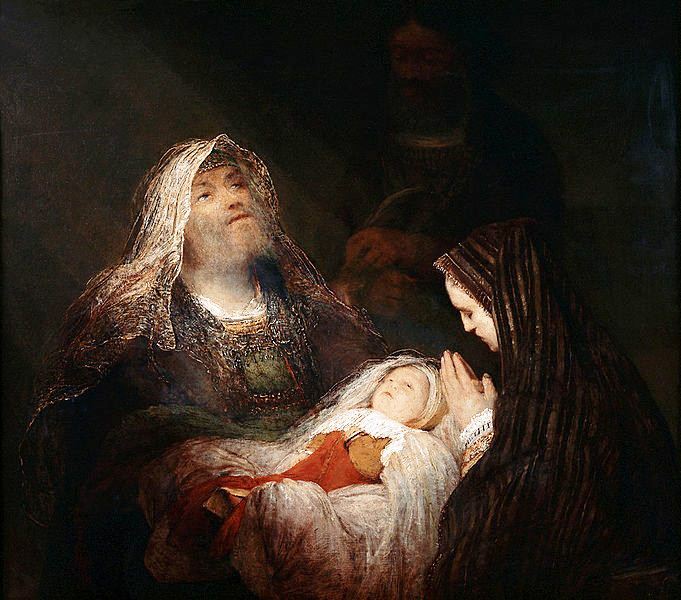 Candlemas is the day commemorating the Presentation of the Jesus at the Temple and the Purification of the Virgin Mary. The Regina Cœli or Cæli (Queen of Heaven), is a night prayer (Compline or Vespers). Its authorship has not been determined but it was sung by Franciscans in the 12th century. It was sung in place of the Angelus from Holy Saturday through Pentecost. 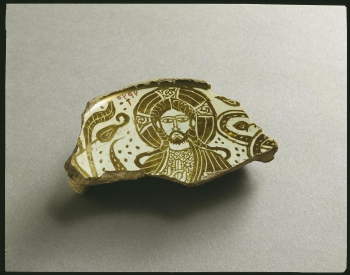 It is therefore associated with the celebration of Easter. The Salve Regina (Hail Holy Queen) is sung at Compline from the Saturday before Trinity Sunday until the Friday before the first Sunday of Advent (Wikipedia). It was composed by German monk Hermann of Reichenau, the above-mentioned Hermannus Contractus (Herman the Cripple) (1013–1054), the composer of the Alma Redemptoris Mater. However, to the four antiphons, we may add the above-mentioned Ave Maris Stella, Mozart’s breathtaking , various Ave Maria‘s, the most famous of which are Schubert’s Ave Maria, and the Ave Maria Charles Gounod composed on the first prelude of Johann Sebastian Bach’s Wohltemperierte Klavier (BWV 846-893). But there was a holiday and Easter brought Eastertide; it brought spring. I do not remember on which day classes ended, but we were not in class on Holy Thursday (Maundy [washing of the feet] Thursday) and Good Friday. To the best of my recollection, it was a four-day holiday which started on Holy Thursday and ended on the day Easter was celebrated. I do not think it included Easter Monday. At the moment, in Quebec, Holy Thursday and Good Friday are not holidays or fériés (feasts), and Easter Monday is a holiday, a legal holiday. The week started on Palm Sunday. Branches were woven into fine decorations. We could purchase these at church and take them home. We used them from Easter to Easter. In Quebec, these were not made of palm leaves, but they were boughs, des rameaux. Holy Thursday and Good Friday were devoted to devotional practices. We attended mass and, on Good Friday, we walked from one station of the Cross to another. 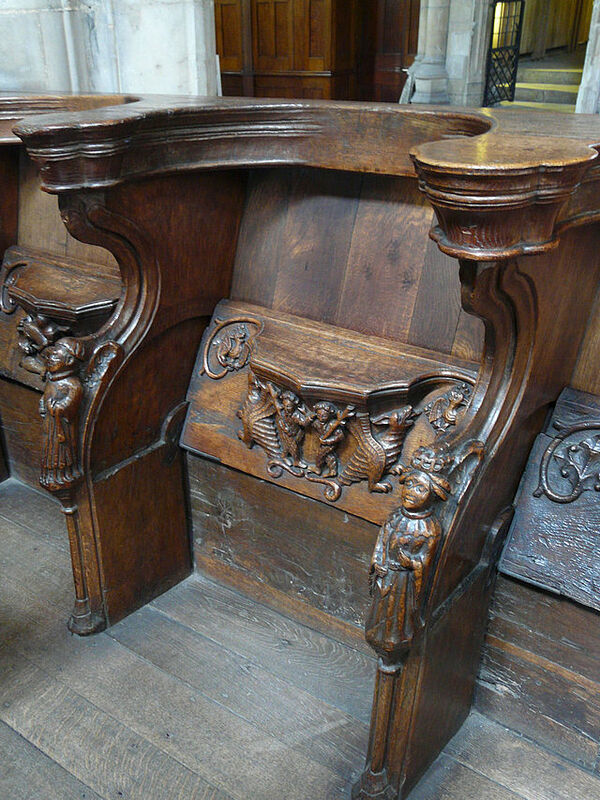 There were six stations on each side of the church, a total of twelve. (See Stations of the Cross, Wikipedia). Jesus had been betrayed by one of his twelve apostles, Judas Iscariot. After the Last Supper, a Passover observance and the institution of the Eucharist (Mass), Christ and his disciples went to Gethsemane at the foot of the Mount of Olives in Jerusalem. His apostles could not remain awake and stand vigil with him. Mass, the Eucharist, commemorates the Last Supper. But the Divine Hours, kept by Cenobite monks, monks living together, commemorate Jesus’ vigil at the Mount of Olives. 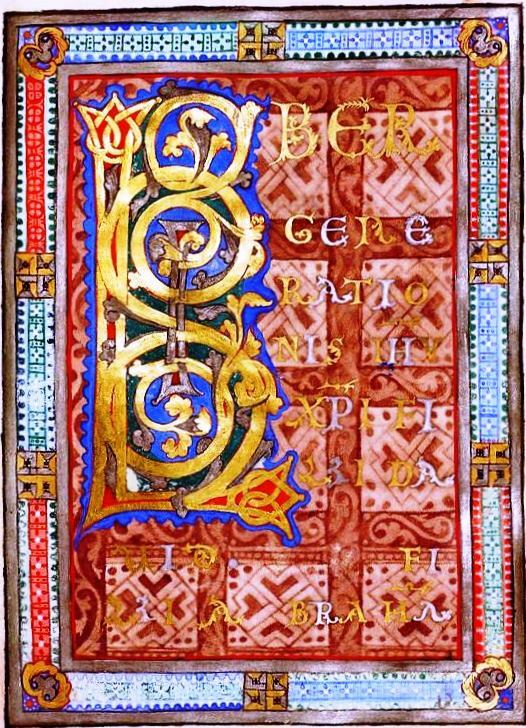 Books of Hours find their origin in the eight (originally seven) Canonical Hours, or Divine Hours. Jesus was arrested and condemned. He was flogged (la flagellation), crowned mockingly, a crown of thorns, and carried the Cross on which he was crucified. 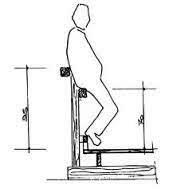 Crucifixions are a form of torture leading to death. They are still carried out. Isil crucifies some of its victims. On Good Friday, at three in the afternoon we had to be quiet. We were told that Christ had died at that hour of the day. The Easter Vigil was a particularly significant and beautiful celebration. A Paschal candle was lit at the back of the church and carried to the front. Everyone was given a candle. The priest stopped at each row to light one candle and the flame was passed on to everyone occupying that row. Easter was a lovely celebration. We had many visitors. We ate chocolate, but we did not look for eggs. Then came Easter Dinner, called Supper in Quebec, my mother usually made ham, which was also the case in other households. We did not drink wine. As you know, Easter is a moveable feast, celebrated near the spring equinox. You may remember that the Gregorian Calendar (Pope Gregory XIII) was adopted because Christmas was celebrated later and later every year and, by the same token, so was Easter. The Eastern Church retained the Julian Calendar (old style: O. S.). This year the vernal equinox, for the northern hemisphere, equal day and night, occurred on 20 March and, in the Western Church, Easter will be celebrated on the 27th of March. In the Eastern Church, Easter will be celebrated on the 1st of May. Easter is rooted in the Hebrew Passover, which will be observed on the 23rd of April. It appears “Jewish Christians, the first to celebrate the resurrection of Jesus, timed the observance in relation to Passover.” (See Easter, Wikipedia.) Passover commemorates the Jewish Exodus from slavery into Egypt. The date on which Easter is celebrated and the links between Passover and Easter, in both the Western Church and the Eastern Church, have been a subject of controversy, beginning with the Council of Nicaea (325 CE). Such matters are best discussed by theologians. One of the most compelling depictions of grief in art is the mater dolorosa. A mother had seen her son suffer and die. As of Good Friday, the Marian Antiphon, of which there are four will be the Regina Cæli Both Michel-Richard de Lalande‘s Regina Cæli and Pergolesi‘s exquisite Quando corpus morietur are featured in a post entitled Music for Easter (see RELATED ARTICLES, below). Musicologists study liturgical music. Lay music has existed for a long time. There have been troubadours, trouvères and minnesinger who wrote and sang humble songs. However, the development of polyphony, intertwined voices, was achieved by the composers of madrigals and sacred music. These compositions are the birthplace of harmony and counterpoint. The Mass, or Eucharist, is the “central act of worship” (see Mass, Wikipedia) in the Catholic Church. But Monks living in monasteries also observe the Canonical Hours as determined in the Rule of Benedict, which has now been used for 1,500 years. The Second Vatican Council (1962-1965), convened by Pope John XXIII, introduced the use of the vernacular in Mass, formerly said in Latin. 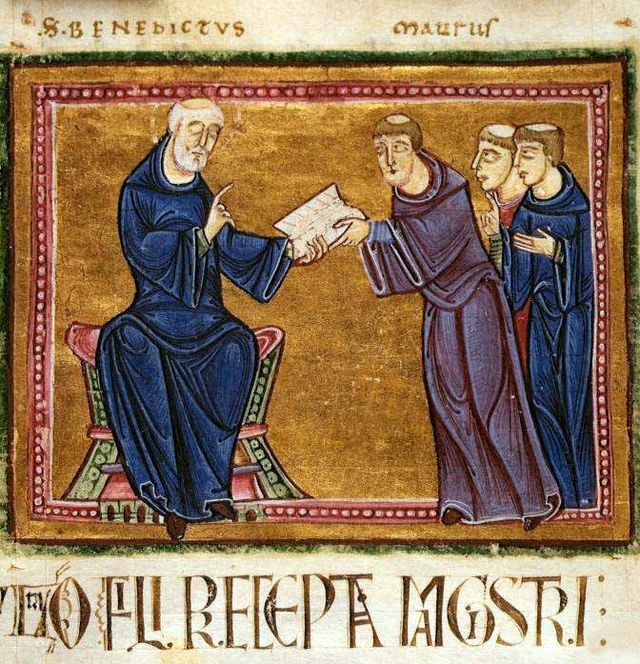 Benedictines, the order founded by Benedict of Nursia (c. 480 – 543 or 547 CE), were not affected by this change. It was decided that they would continue to use the Liber Usualis, a book of Latin-language Gregorian chant, compiled by the monks of the Abbey of Solesmes, France, during the 19th century. Mass has components used every day. 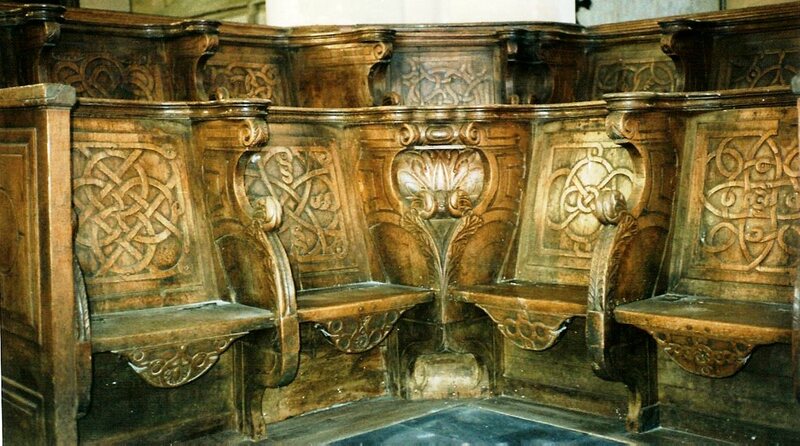 These constitute the “ordinary” of the Mass. Masses, however, may also include the “proper,” components added on special days or occasions, such as a Requiem Mass, a Mass for the Dead. Yesterday was Epiphany, the twelfth day of Christmas. Epiphany commemorates the visit in Bethlehem of the kings of Orient. The above posts were updated, but the links do not always lead to the correct site. Would that links did not disappear. Videos are sometimes removed, but links should remain. There is a degree of repetition in the above-listed posts. I try to write my posts as though no one had read former posts on the same subject and therefore repeat what was said earlier. Wishing all of you a fine weekend. 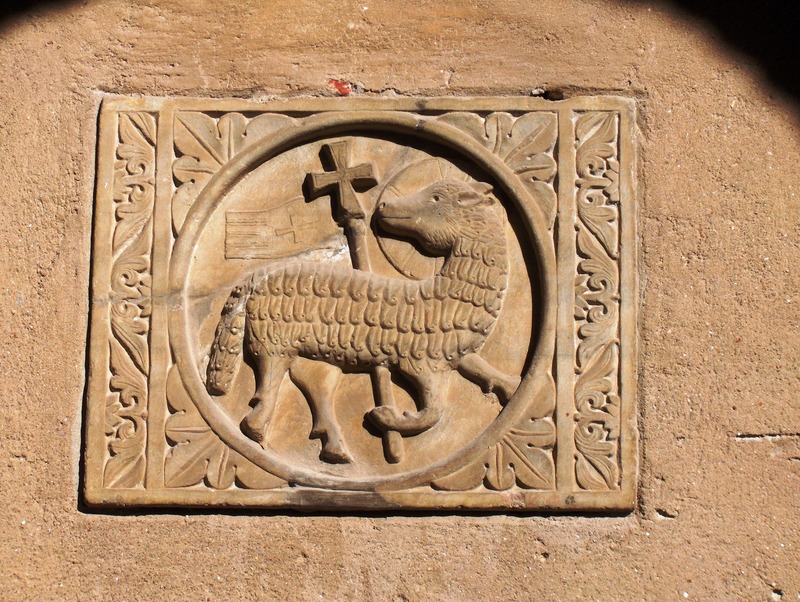 Medieval Agnus Dei, Euphrasian Basilica, Poreč, Croatia. For Catholics, Charity is the most important of the three theological virtues: faith, hope, charity. The events of the past week brought the word charity to my mind. I faced several obstacles because I could not provide a credit card number. But let us turn to Marian Hymnology, Guido Reni‘s art and Tomás Luis de Victoria‘s compositions. We will call it a pause. By clicking on the titles below, you will be at Notre-Dame de Paris. On the left side of the page are the titles of the four Marian Antiphons. Choose the antiphon you wish to listen to. You will also be provided with the words. The Salve Regina is one of the four Marian Antiphons. It was composed (Gregorian Chant) by Hermann of Reichenau (18 July 1013 – 24 September 1054) who was severely crippled and spent most of his brief life at the Benedictine Abbey of Reichenau. Hermann “the lame” became a monk. He was a scholar, a composer, a music theorist, a mathematician, an astronomer, and a linguist. However, the composition, I have inserted at the foot of this post is not Gregorian chant, but a setting by prominent Spanish composer Tomás Luis de Victoria (c. 1548 – 27 August 1611) of the lyrics of the Salve Regina. It is a combination the French would call heureuse, happy. 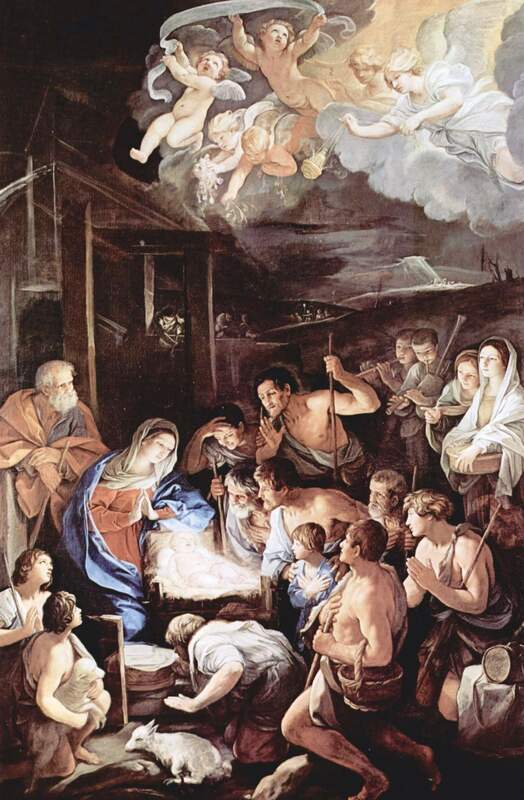 Guido Reni (4 November 1575 – 18 August 1642) was born in Bologna. He is a high Baroque artist remembered for his use of luminous colours. The painting shown above does not reveal this characteristic. It is somewhat and successfully monochromatic. His themes were biblical and mythological and therefore consistent with the subject-matter of painters of his era. 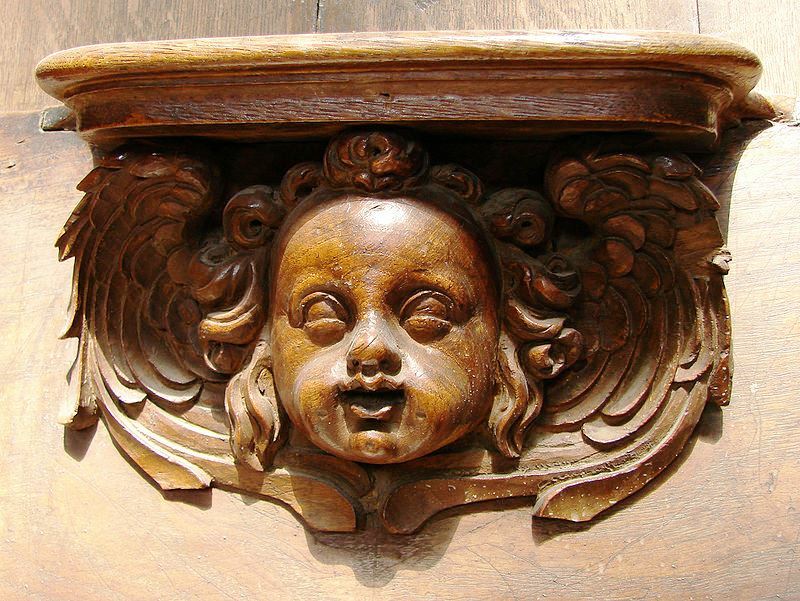 The little children he depicted resemble putti, but putti (plural for putto) have wings. Reni was an apprentice to Flemish artist Denis Calvaert (1540 – 16 April 1619), often called Il Fiammingo due to his origins. 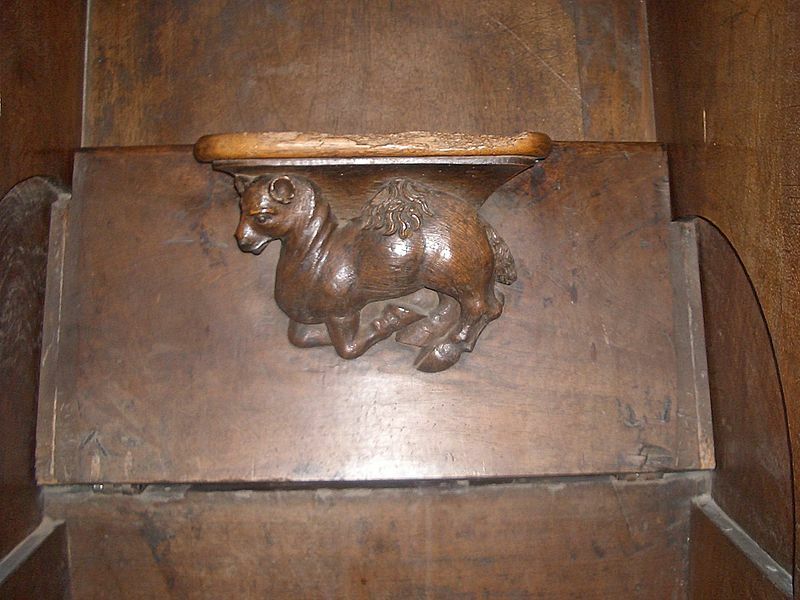 In the very late Middle Ages, just prior to the Renaissance, Flanders was the cultural hub of Europe. Adrian Willaert of the Franco-Flemish school taught music to students in Venice who were very gifted and whose love for music was exceptional. In turn, the Italians created the French Overture. It was introduced in France by composer Jean-Baptiste Lully, born Giovanni Battista Lulli. Lulli was also a dancer and choreographer who worked with French playwright Molière (1622 – 1673). Guido moved to Rome in 1601 and his first commission was an altarpiece of the Crucifixion of St. Peter. During this period of his life, Guido’s patron was Paolo Emilio Sfondrati (1560 – 14 February 1618). 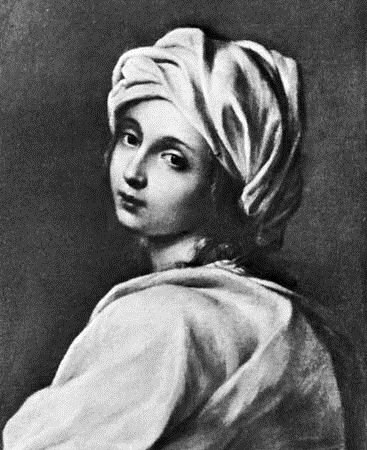 According to Britannica, Reni was later influenced by the novel naturalism of the Carracci, a family of artists: Annibale, Agostino and Ludovico. Hippomenes won the race dropping apples. Guido died in 1642 and is buried next to Elisabetta Sirani (1638 – 1665) in the Rosary Chapel of the Basilica of San Domenica. Elisabetta Sirani’s story is told by Germaine Greer, in chapter XI, entitled The Bolognese Phenomenon, of The Obstacle Race. My kindest wishes to all of you. “Western music.” Encyclopædia Britannica. Encyclopædia Britannica Online. Encyclopædia Britannica Inc., 2014. Web. 18 Oct. 2014. <http://www.britannica.com/EBchecked/topic/398976/Western-music>. “Guido Reni”. Encyclopædia Britannica. Encyclopædia Britannica Online. Encyclopædia Britannica Inc., 2014. Web. 18 Oct. 2014. 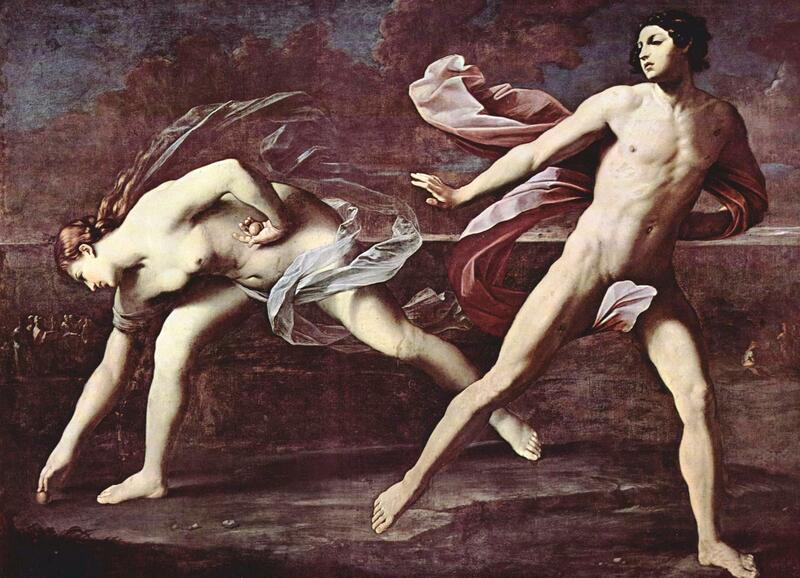 <http://www.britannica.com/EBchecked/topic/498122/Guido-Reni>. Germaine Greer, The Obstacle Race (New York: Farrar Straus Giroux, 1979). This post contains a tiny list of three posts written in 2011. They have been revised. For instance, they include more links. 1. The first post was republished earlier this week. It tells that nature and, in particular, the degree of darkness and light, dictates the dates on which feasts are celebrated. In other words, it tells about the calendar. 2. The second post deals with the Hours. The Hours predate Christianity. However, the concept of “watching” also finds its roots in Christ’s agony in the Garden of Gethsemane. His apostles would not stay awake when he was about to be taken away and crucified. My parish, so to speak, is the Benedictine monastery at Saint-Benoît-du-Lac, on Lake Memphremagog. The Hours and the Mass are the two components of daily liturgy at Saint-Benoît-du-Lac. Other priests, priests who are not monks, read their Breviary which is also a book of hours. This post also alludes to the solstices and equinoctial points. Not mentioned in the posts listed below are the equinoctial tides. Again, a natural phenomenon dictates a feast. 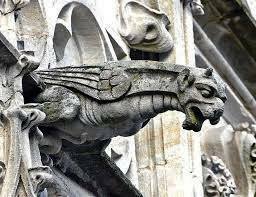 In September, at about the time the feast of St. Michael the archangel is celebrated, on September 29th, the tides are briefly at their lowest point. The year I lived in Normandy, one could not see the water from the shore and Mont-Saint-Michel was an island. When the water receded sheep would graze on the salted meadows, the prés salés. We often ate lamb from the prés salés. It was a treat. 3. The third post discusses Mass, the second and most important part of daily liturgy. Mass can be short (the Ordinary of the Mass) and have no movable parts, such as the Agnus Dei, or it can be long, the Proper of the Mass). It is also called the Eucharist as Communion is a constant reminder of the Last Supper. I thought I had learned the Mass as a child as well as Gregorian Chant. I also had a brief career as church organist. However, I did not know much, if anything, about the Mass or liturgy in general until I took courses in musicology from a teacher who was not a Catholic. Secular music has existed for a very long time but sheer bulk precludes leaving Sacred Music out of musicology courses. The same could be said about studying the Fine Arts, but to a lesser extent. In particular, sacred music allows us to trace the development of polyphonic music, i.e. soprano, alto, tenor, bass (SATB) combined. Some pieces combine more or fewer voices. In secular music, studying the Madrigal is also a way of learning how polyphonic music developed. However, Gregorian music is monodic or monophonic.